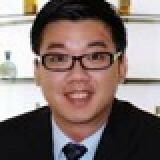 Tiow is currently the global procurement director for Diageo, based out of Singapore and leads end to end procurement (direct materials, marketing/commercial and indirects/overheads categories) for the teams across Asia Pacific, Global Travel, Middle East and North Africa. He has been a pioneering member of marketing procurement for the region and will be giving his insights on how procurement can contribute & be more than a cost savings unit. 09:50 Keynote panel: Revenue generator cost saver: How can procurement best become a multi-skilled and cross functional coordination function? • How can procurement really support the business and bring value beyond savings? • How does procurement help the business improve its margins and increase revenues? • Cost savings vs. procurement expense: How can you increase the former whilst decreasing the latter? • Driving KPIS around proficiencies & efficiencies: What should your procurement team be measured by? • Beyond low-hanging and mid-hanging Fruit: What is procurement’s role in driving revenue & front-line competitive advantage? Check out the incredible speaker line-up to see who will be joining Tiow.